It’s important that people don’t think that they can win, because you can’t win in gambling. 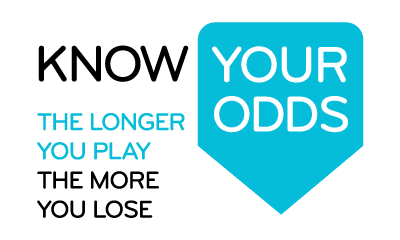 You can win for a little while but you can’t win in the long run.” – Michael Piggot, spokesman for Tabcorp, one of Australia’s largest betting agencies, on the National 9 News, September 2005. The House Edge assists the gambling provider as a commercial business to cover its costs of providing the game, paying for the staff, maintaining the casino or club etc. It also helps to turn the business a profit. Any profit the business makes from gambling comes from the money the gamblers pay into the game, whether it’s a poker machine, Keno, Blackjack or other game. 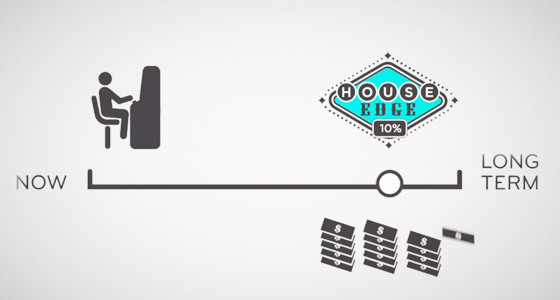 For example the House Edge built into a poker machine in Tasmania means that on average around 10% of every bet you make, that is, every time you press the button, goes back to the venue. In Tasmania the law actually sets the amount that the venue can keep (its House Edge) as 15%, but the venues, through the suppliers of poker machines, Network Gaming, have opted for around 10%. How does it work? In poker machines there is a mechanism called a Random Number Generator. It’s actually a computer and it’s programmed to select the combinations of symbols – at random – when you press the button. On a poker machine with five reels and thirty-five possible stops on each reel there are 52,521,875 possible stop combinations. The Random Number Generator is programmed so that there will be more losses (losing combinations of symbols) than wins. An easy way to think about it is with a roulette wheel. On a single zero roulette wheel there are 36 numbers plus the green zero. When the wheel is spinning the ball can stop on any one of the 36 numbers or the zero: 37 possible stops. Therefore the mathematical odds of you choosing one of those possible stops is 1 in 37. But… the house pay outs are set at 35 to 1. So over time, the house will never lose. They have a 2.7% house edge. The house edge is in every form of commercial gambling and means that the more you play over time, the more you will lose. You may get lucky in the short term and be ahead but if you keep playing, eventually you will lose. See also Gamblers Fallacy. Ever wondered how much you really spend on gambling over a year? This calculator can give you a true picture of gambling spending. Want to find out more about luck and the house edge?